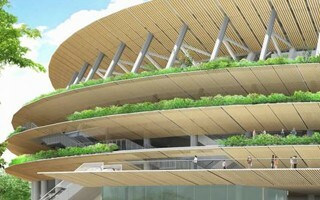 “Now the main structure of the building is done, and the construction of the roof has started. The wood façade has also started construction. The façade is the most important part of the project, and we have already checked every material and detail. 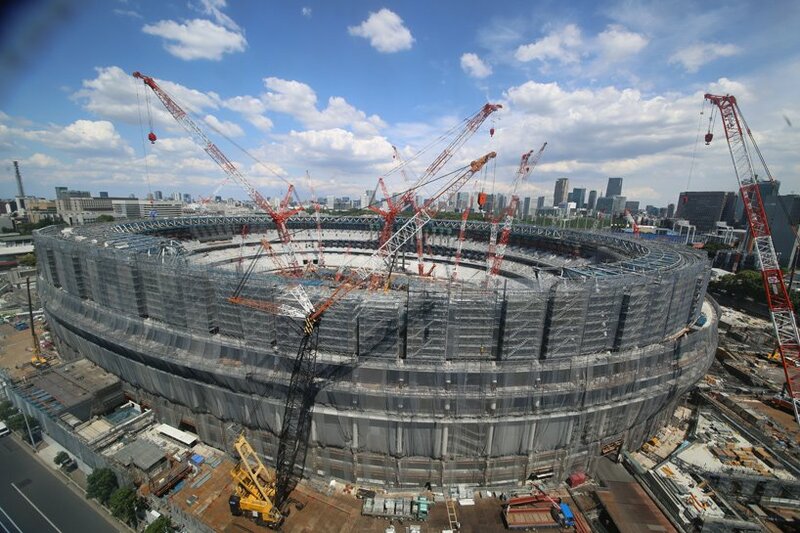 We are very excited to see the reality of the façade.” says Kengo Kuma, architect behind the 'hamburger' stadium being built in Tokyo. Clad with wood and extensively covered with plants, his largest sports project is heading safely for delivery in late 2019. While not addressing the debate over Japan's new national stadium, Kuma also touched an issue that played crucial role regarding the abandoned Zaha Hadid project, accused of being out of scale with the environment it was supposed to be built in. “Another method is to find the appropriate size for the project. The particular size of the building is critical for the harmony between the environment and the building. If it is too big compared with the particular place, the harmony disappears. We are checking the size of the place and the surrounding buildings, and through that research we can find the best size. Texture and size are both very important for a project.” says Kuma, whose constrained vision for the Olympic Stadium won praise and is being executed at the historical site. The entire interview, focused on Kuma's projects and approach can be accessed here.